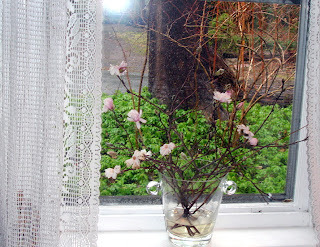 My repertory of forced branches is usually limited to forsythia, witch hazel and quince. But this year I got a pleasant surprise. Rick and I were trying to wrestle a gargantuan bittersweet vine to the ground. 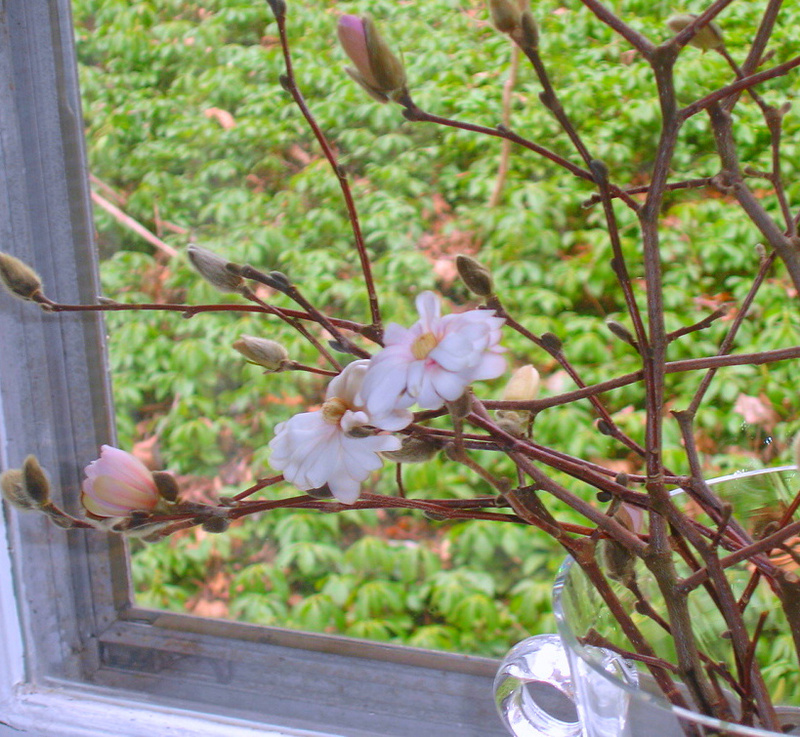 It was strangling our Magnolia Stellata-- an early blooming magnolia. 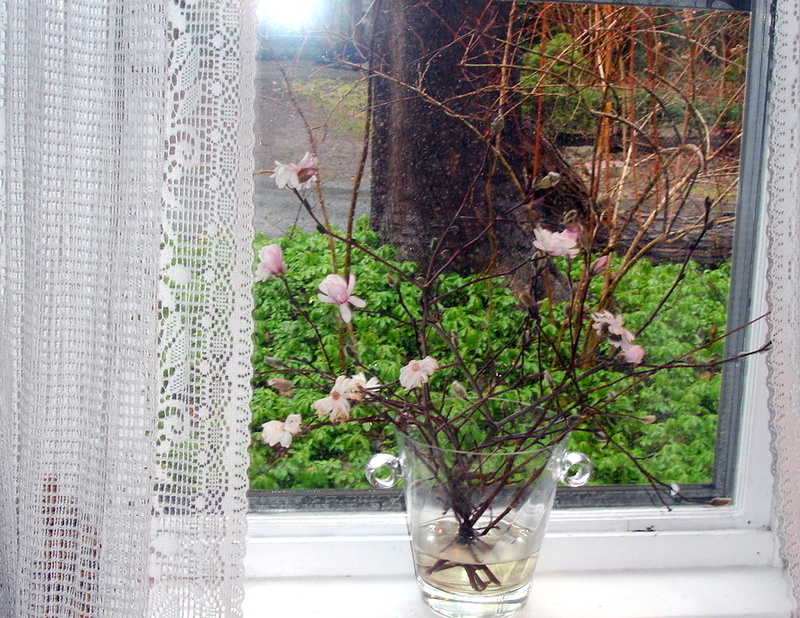 In the process of pulling down the bittersweet we broke off a few branches of the Magnolia Stellata. I decided why not bring them in and try to force them. 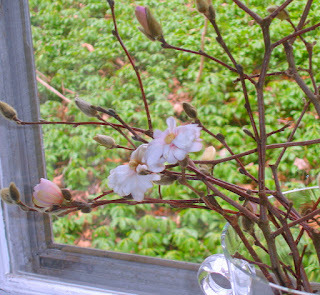 To my surprise, in a few days we had gorgeous magnolia flowers on our window sill. Looks like I’ve made and addition to my yearly ritual of forcing branches of flowering shrubs.